God our Father, your Son commanded us, "Love your enemies and pray for those who persecute you." (Mt. 5:44) By dying for all humanity and asking you to forgive those who crucified him, Jesus saved us and made us sons and daughters of God. Following his example, we pray for our enemies, known and unknown. We ask that the loving will of God be done in their lives. May the Holy Spirit come into their lives and transform their hearts and ours, leading to peace and reconciliation amongst all your children. In Jesus' name, we pray. It is time once again for the Christmas Novena which begins on the Feast of St. Andrew (November 30th) and goes through Christmas Eve. Some say to pray the following prayer 15 times a day each day; others have it once a day. However you decide to pray, humbly ask God for whatever your heart desires most this Christmas. It seems like this year what we all need most for Christmas is peace in the world. If you don't have something pressing to pray for, I invite you to pray for that. Happy Thanksgiving to all of you. This prayer came in the mail to me on behalf of the Bishop of Springfield, MA. Lord of ages past and to come, bless our home. Help us to see You in one another and in all who enter through our door. Help is to forgive one another, to affirm and nurture one another, to celebrate our lives together. We come to our table to celebrate this Thanksgiving day with joy and gratitude for the good food with which we are blessed today, for the people who helped prepare it and for all of God's gifts to us. Jesus is our light and our salvation. We give thanks for all the many gifts that we have received. Let us also remember those who today are lonely, hungry or homeless. We gratefully remember too, our family members and loved ones who are not here with us physically and celebrate the gift which they have been and continue to be for us. We make our prayer as we do all things through Christ our Lord, Amen. In his September 2015 speech to Congress, Pope Francis credited American journalist Dorothy Day (1897−1980), cofounder of the Catholic Worker movement, for her deep faith and social activism. During Advent of 1966, Day wrote a series of four reflections in The Ave Maria magazine that emphasized her devotion to her Catholic faith and its deep traditions. These reflections, available for the first time as an eBook collection with a new reader’s guide and an excerpt from On Pilgrimage, are as important today as they were fifty years ago. Written a year after the close of the Second Vatican Council, the collection address a Catholic Church in a time of tremendous upheaval. Catholic devotions fell out of practice and American affluence and materialism seemed to know no bounds. It was a time in the Church not unlike the world today. 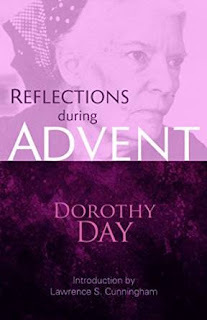 Each of the four reflections on prayer, poverty, chasity, and obedience are presented in Day’s unique voice and way of storytelling and includes personal stories about her childhood, conversion to Catholicism, work with Peter Maurin, Catholic Worker Communities, and much more. Catholicism, and cofounder of the Catholic Worker movement. As part of their botany curriculum this year, my teen boys had to read The Groundbreaking, Chance-Taking Life of George Washington Carver and Science and Invention in America . This is one of a series of books by written and illustrated by Cheryl Harness and published by the National Geographic Society. While I haven't read the others, I can tell you I was extremely impressed by this installment. 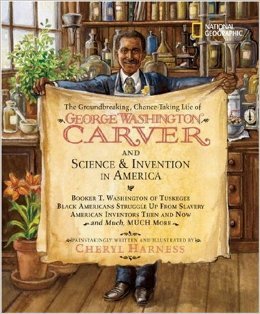 The book, as one might expect, tells the story of George Washington Carver's life, but it goes beyond that, placing Carver in historical context with the world around him. At the bottom of the text throughout the entire book is an illustrated timeline of other events / inventions / people which were significant at that time. It made for fascinating reading all by itself, providing an interesting snapshot of the world in which Carver lived and worked. Harness is a talented writer and illustrator. The text is easy to read and understand while offering a great deal of information and will keep both young people and adults engaged. The illustrations are rendered in black and white and are a cross between a cartoon and a realistic style. They both break up and add to the text, helping to make the book appealing to a wide spectrum of readers. Is Jesus Calling You to Be a Catholic Priest? It's hard to believe, but Advent is right around the corner. Are you searching for a way to focus on the all-important religious aspect of this season in the midst of all the busyness? 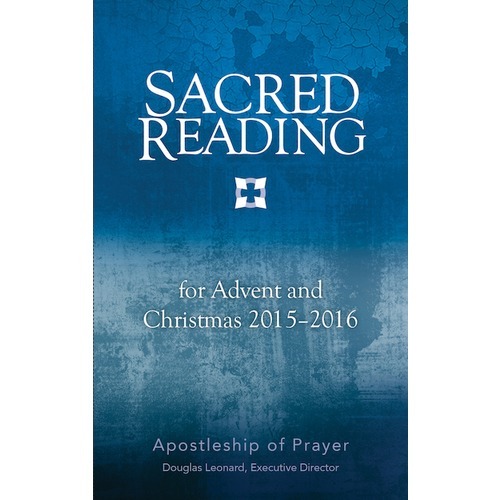 Sacred Reading for Advent and Christmas from the Apostleship of Prayer may be just what you are looking for. As the introduction states, "Advent is all about waiting for Jesus Christ. The Gospel readings of Advent make us mindful of three ways we await Jesus - past, present, and future." This book invites you to "prayerfully encounter Jesus in the daily Gospel." 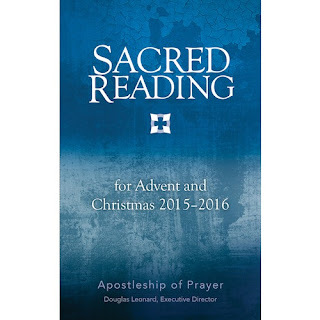 Excerpted from Sacred Reading: The 2016 Guide to Daily Prayer, this book offers a brief intro to lectio divina, the act of sacred reading. For each day of Advent through the Feast of Epiphany, there is a Gospel passage as well as questions to inspire deeper interaction with the text and with Jesus. This book would be ideal for an at-home personal Advent retreat. It is guaranteed to help keep the focus of Advent and Christmas where it belongs - on the birth of our Savior. A Shot for Postpartum Depression? I was perusing Facebook the other day and came across a post in one of the Catholic homeschool groups I belong to. A woman had given birth over the summer and was having a hard time with postpartum depression. She mentioned having made an appointment with her NaPro doctor to get a progesterone shot. Several other women commented that they, too, had taken this route and had their symptoms alleviated. This was the first I had ever heard of such a thing - a shot for postpartum depression. That is truly awesome. As someone who has faced that darkness, I wish I had been aware of this. Of course, I don't have a NaPro doctor near me, which is a whole other issue, but still the wider medical community should be made aware of it. Maybe someone suffering from postpartum could bring in the following article to show her doctor: NaPro Technology and Postpartum Depression and be able to get the help she desperately needs. November 2nd is All Soul's Day - a day which is especially set aside in the Church to remember all those in purgatory. O Lord, my Creator and Redeemer, I believe that in Your justice You have willed purgatory for those who pass into eternity before having completely atoned for their sins. And I believe that in Your mercy You accept suffrages, especially in the sacrifice of the Mass, for their comfort and liberation. Enliven my faith and grant me sentiments of compassion towards these suffering brethren. Eternal rest, grant to them, O Lord, and let perpetual light shine upon them. O Lord Jesus Christ, King of glory, through the intercession of Mary and all the saints, please free from purgatory the faithful departed. I pray you, O St. Michael, prince of the heavenly army, take them into the eternal light which was promised by God to Abraham and his descendants. I offer You, Lord, sacrifices and prayers of praise. Accept them on behalf of those whom we commemorate this day. Admit them into the eternal light and joy. O good Master Jesus, I entreat You for the sake of all to whom I am bound by motives of gratitude, justice, charity, and relationship: my parents, brothers and sisters, spiritual and material benefactors, the members of our Congregation and my relatives. I recommend to You the forgotten persons, those who were more devoted to You, to the Blessed Virgin, persons who on earth had great responsibility: priests, the authorities, superiors, religious. Call them soon to eternal salvation. I thank You, O Jesus divine Master, for having come down from heaven and redeemed the human race from so much evil with Your doctrine, sanctity and death. I pray You for the dead who are in purgatory because of the propagation of evil through the press, radio, television, and the motion picture industry. I believe that they, once freed from their sufferings and admitted into eternal happiness, will pray for the modern world so that all the means given for the elevation of this present life may be used for the attainment of everlasting life. O merciful Jesus, for the merits of Your sorrowful passion and for the love You have for me, I beseech You to forgive me the punishments I have merited for the present or future life by my many sins. Grant me the spirit of penance, delicacy of conscience, hatred for any deliberate venial sin, and the necessary dispositions to gain indulgences. I bind myself to help the poor dead as much as I can, and You, O infinite Goodness, give me an ever-increasing fervor so that when it is time for me to leave this world, I shall be admitted at once to contemplate You forever in heaven.